With the bundled expertise of more than 270 employees in the areas of product development & manufacturing, digital reality, information technology and process optimisation, INNEO is the innovative power for customer success in the UK, Germany and Switzerland – always close at hand with offices in twelve locations. Customer success and satisfaction are our supreme objectives – which is reflected by more than 4,000 companies who have chosen us as their trusted partner for digitalisation. Discerning current trends and future imperatives – and developing new, competent solutions to address them – has been the mainstay of our operations for 35 years and will remain so. That’s IT. Our solutions are instrumental in speeding up and optimising your product development and design processes including AR/VR/CGI technologies and to realise IoT and Industry 4.0 initiatives. SharePoint solutions and IT services increase the productivity of your enterprise while reducing operating costs. No matter which of INNEO’s solutions you choose, INNEO will provide you with the foundation for significantly more efficient work. This will boost the success of your business and raise customer satisfaction. Be it branch-specific solutions, additional applications (e.g. 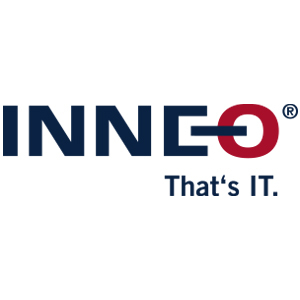 GENIUS TOOLS for Creo and Windchill, Power Extensions for Creo Elements/Direct) or services, implementation or individualised training and consulting, INNEO is your partner for all-round product development solutions and digital reality. We will help you achieve a quick and lasting return on your investments. As a member of PLM Elite (www.plmelite.com) INNEO offers customised PLM solutions for your design processes – in 60 locations worldwide.